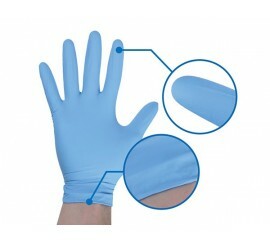 Preparation for cleaing and degreasing. 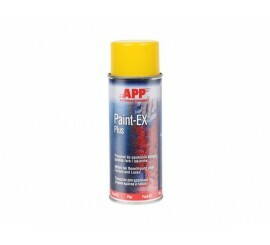 Provides optimal adhesion of applied products and prevents silicone craters creation while painting. 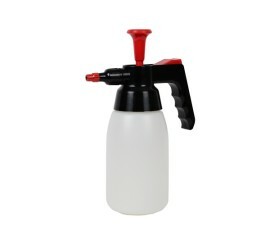 Designed for removing impurities such as: silicone, teflon, oils and greases from surfaces designed for topcoating. 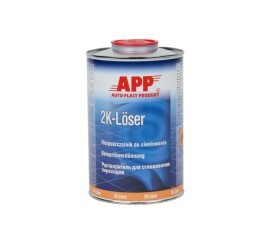 It may be used on non-isolated metal surfaces, old topcoats, primers, fillers and filling coats before topcoats application. APP W911 is a new generation remover. Thanks to a modified formulation and extended evaporation time new APP W911 remover enables more precise degreasing of large surfaces at any phase of top coating works. 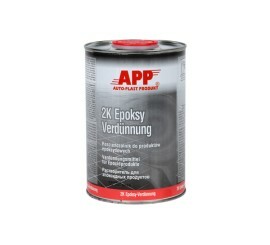 Application: A, B and C Class paint shops, Utility vehicles paint shops, Car washes, Garages, Repair shops, Manufacturing and industrial facilities.